Snapchat for Business: How to Reach Millennials Through Storytelling | Gil Media Co.
Marketing is always evolving, yet the key to marketing success remains always comes down to just one question: do you have the attention of your audience? Let’s be honest, LinkedIn, Facebook, and Twitter’s engagement are at an all-time low, they’ve become pay-to-play platforms with lots of noise. But there is one platform that marketers are underestimating and under-utilizing: Snapchat. While most brand marketers relentlessly try to figure out how to reach more than 1% of their Facebook fans, Snapchat’s figured out how to retain, engage, and keep audiences coming back for more content every day. With 100+ million daily active users, and 6 billion daily video views, Snapchat is one of the fastest growing social networks. Once thought of as an app used only by teens, more than 60% of 13-34-year-olds in the U.S. are now active users, a demographic which is expected to outspend Baby Boomers by 2017. If you’re trying to reach this audience, then Snapchat is the sandbox you need to be playing in. To put this in context, I receive between 800-1,000 views per “snap”, which are seen as photos or short-form videos sent via the app. Throughout the course of my day, if I post 10 snaps to “My Story” – a compilation of my content over a 24-hour period – that’s 10,000 impressions from followers who are genuinely engaged with my personal brand. 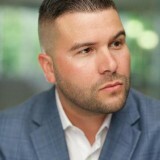 So why should brand marketers care? The psychology of Snapchat is at the core what makes Snapchat stand out over other social channels. The fact that posted content disappears within 24 hours forces users to keep coming back, which creates a stickiness factor that cannot be matched elsewhere. Tell me – as a consumer, when was the last time you felt compelled to go see what your favorite brand tweeted or posted to Facebook? On the surface, since its user interface has no display ads, Snapchat seems to be the anti-brand network. But at the same time, it’s where consumers are actually going to see what brands are going to post next. Its unique user interface and features don’t place emphasis on followers or vanity metrics. Instead, Snapchat is about storytelling and engaging your audience in the most compelling manner possible. Telling your brands story 10 seconds at a time can be a challenge, but this, increasingly, is where marketing is headed – micro-content for micro-moments. Consumers, especially Millennials, value their time and want to be engaged in the quickest manner, which makes Snapchat the “Twitter meets YouTube” of social media. Imagine you’re Home Depot and you want to show your community how to make home improvements – instead of producing a high-quality YouTube video, which you’ll likely end up spending thousands of ad dollars promoting on Facebook, you can use Snapchat to deliver the same message over a few snaps. As Snapchat content is native to the platform, cross-promoting your brand’s Snapchat account across your Facebook, Twitter, Instagram, and email is recommended, and a good tactic for growing your brand’s presence on Snapchat. Whether you’re working to build your personal brand, promote a small business, or even if you represent a large company, there are a variety of ways for you to strategize around the content you execute to become successful. 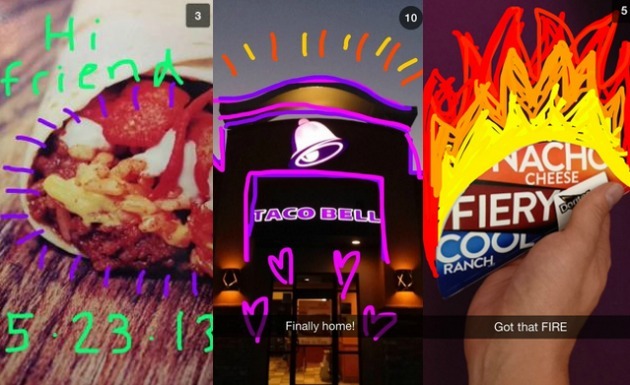 Here are three examples of brands that are doing great things on Snapchat. 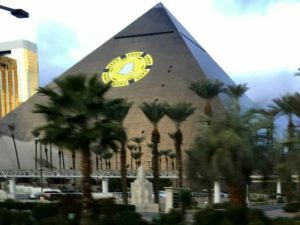 To activate its Snapchat presence in a big way, MGM Resorts leveraged CES 2016 by placing a giant Snapchat ghost in the form of a poker chip on the Luxor hotel, which caught the attention of the more than 100,000 event-goers in Las Vegas. Snapchat influencers were also tapped to share their MGM Resorts experience as part of their daily stories. The brand focuses on creativity and engagement. Its stories circle around its menu, giving its audience a unique perspective on how to mix and match its food. Recently, Taco Bell partnered with Shonduras, a Snapchat influencer, to promote and launch their latest product. Taco Bell sets the bar for how brands should be speaking to Millennial consumers – it’s fun, catchy, and engaging. 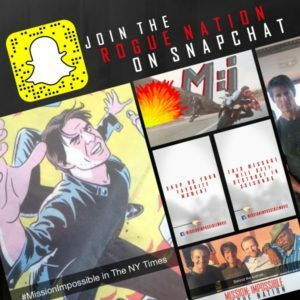 For the release of the movie, the production studio partnered with multiple Snapchat artists to create a series of action-packed Snapchat stories. By leveraging influencers, yet allowing them creative freedom, content was distributed across multiple accounts with unique perspectives from each creator. We’re just seeing the tip of the iceberg with Snapchat marketing, but it’s important to understand that platforms like Snapchat are redefining how people consume and engage with the brands that influence their decisions. Creating great stories and providing your audience with content that resonates on the platforms where they’re spending their time is crucial to gain their attention. If you enjoyed this article, let’s take the conversation over to Snapchat, where you can find me at TheCarlosGil.